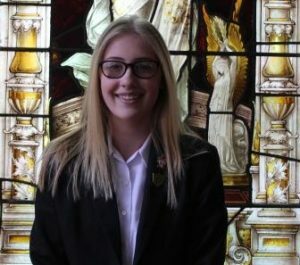 I am delighted to have been given the position of Deputy Head Girl. I believe this role is important as it will give me the opportunities to develop my skills and support my peers. My favourite subjects are English and history because I find them interesting and enjoyable. I also enjoy volunteering as a young leader for Sedgefield Brownies as I believe that it’s important to support my local community.